There are two ways you can get started protecting your family, either attending a Workshop or coming in for a Personal Consultation. Most people begin by coming to one of our comprehensive estate planning Workshops. No, this isn’t a boring lecture about the technical details of estate planning, but an informative (and mildly entertaining) session that outlines the primary issues most people need to consider and goes through a case study so you understand how the basic principles work. We also give you a comprehensive list of our fees and how they will apply to your specific situation and goals, so you’ll know how much to expect you’ll pay for your estate plan. After attending the Workshop, you’ll be offered a free Personal Consultation with an attorney. We’ll spend at least an hour finding out what’s important to you, answering all of your questions and making recommendations. We normally charge $400 for this consultation, but because you’ve already come to the workshop and understand the basics, we are able to condense a comprehensive meeting into this one-hour timeframe and happily waive the normal fee. If you’re not interested in attending a workshop to understand the basic issues and variety of solutions, you can go ahead and schedule a Personal Consultation. We charge $400 for this one-hour, information-packed meeting with an attorney, and credit that fee toward any work for which you decide to hire us. Once you’ve met with an attorney, we’ll be able to design a plan to meet your individual goals. 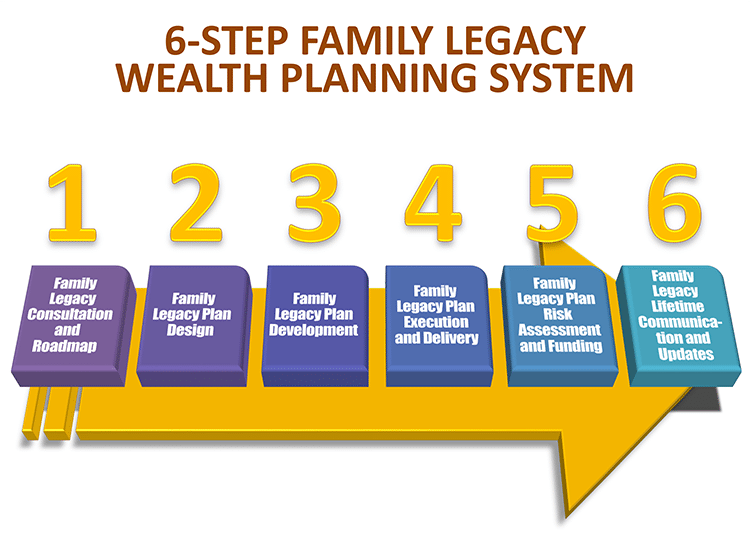 We have created a six-step, proprietary process to ensure that not only is your plan designed well, but it will actually work to accomplish these goals when you need it most, at your incapacity and death. Schedule your Personal Consultation, or call our office at 719.520.1474 (Colorado Springs) or 303.736.6060 (Denver).